Investing in a professional landscape plan will give you years of satisfaction and save you money as well. We provide both full and partial design services based on your needs and desires. Our plans match your goals with the limits imposed by your site and budget to produce a solution that satisfies you. Every site poses unique problems and unique solutions. 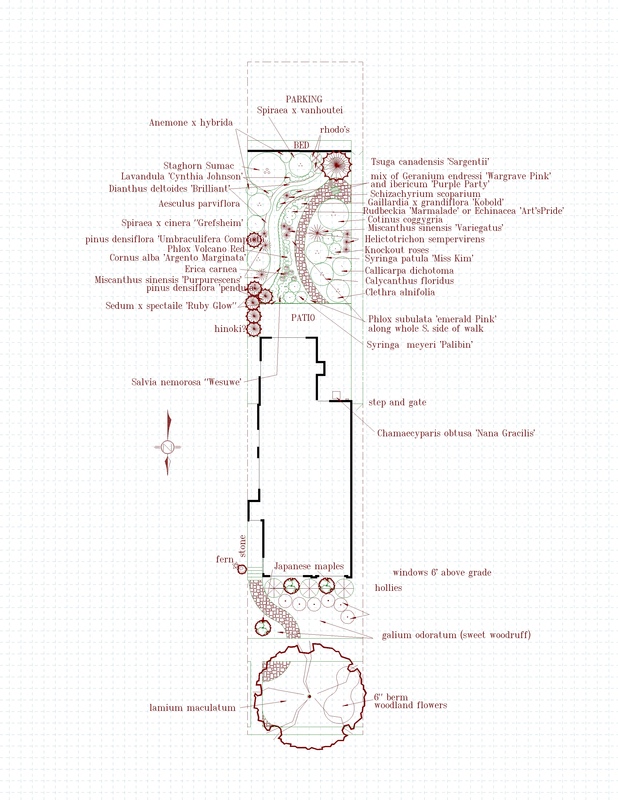 A second interview will produce a general structural plan including an outline of suggested plantings. 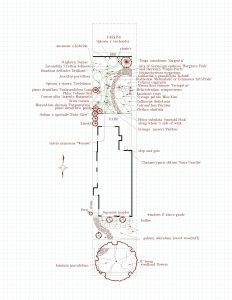 A third interview will produce a final plan including a detailed planting list. 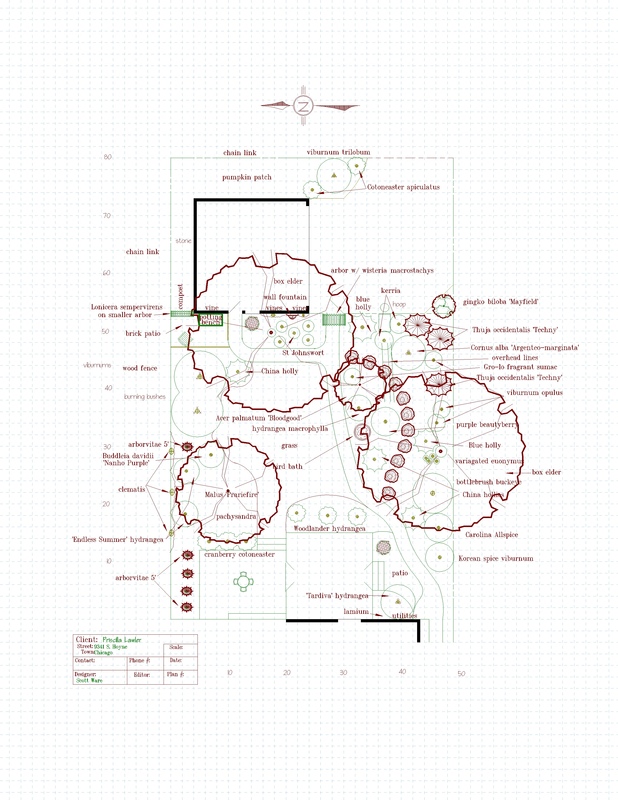 Partial design services are for those of you who are reasonably satisfied with their outdoor spaces but have particular problem areas or want to add a new feature (such as a pond). Frequently a written report containing concrete suggestions is all that you need to make a real improvement that you can see and feel every time you step outside..
All our designs make you the boss. We provide the expertise, but you make all the decisions. Our planning begins by listening to you tell us what you want. It ends when you give us your final approval. No design is of real use if it cannot be implemented correctly. Some of you are experienced gardeners with the time and desire to “do it yourself” once a design is agreed upon. For you we provide ongoing telephone support. We also provide installation services for those who have come up with their own plan, but need help seeing it through. We offer full installation service for all our designs and will also work with budget-conscious clients to provide essential services while they themselves handle the rest. We cannot guarantee your work, of course, but we do guarantee ours. 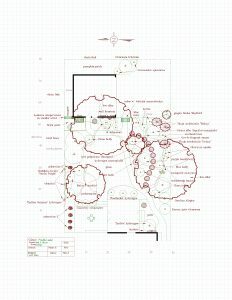 The best design and installation of your garden will come to naught without proper ongoing care. Many have come to learn that it is very easy to kill a tree in its first year, just to give one example. We provide ongoing garden care for those of you who want to spend your limited time at home enjoying your gardens rather than working in them. We are not a “lawn service”. We do not mow your grass and we do not fill your yard with chemicals. We are a quality garden service who will give year round care to your trees, shrubs, and perennials and will help you plant annuals as well. We will help you weed, fertilize, mulch and prune your plants. We will defend your plants from disease, insects and predators by the safest effective means. We particularly enjoy helping clients who are trying to restore established gardens that have become overgrown and unmanageable. We will help you identify “mystery” plants and provide “off the cuff” design suggestions as we help you bring your “heritage” garden back to its old glory.